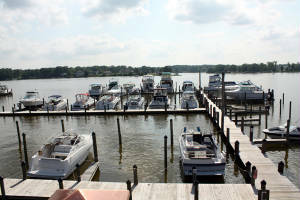 We have 39 slips, air-conditioned bathouses, waterfront picnic area with grills for cooking out, and ample parking. 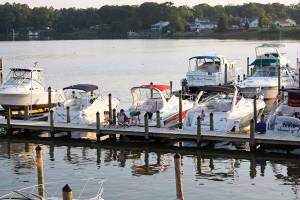 We do not allow major boat repairs that could disturb our slip holders and guests. From your very first contact by phone or VHF (Channel 16) radio, you will be impressed how we strive to make your stay with us a memorable one. If you want a boutique style marina with a five star restaurant....you found it.